Special Guests include The Temptations Revue, Skip Martin (Kool & the Gang), Wally Palmar (Romantics) Steve Smith & the Nakeds, John Cafferty & the Beaver Brown Band. Go to http://www.rocknjockcharities.com to buy tickets online and to get full details of the event. Special Guests include Southside Johnny, Jimi Jamison, Skip Martin (Kool & the Gang), Steve Smith & the Nakeds, John Cafferty & the Beaver Brown Band. 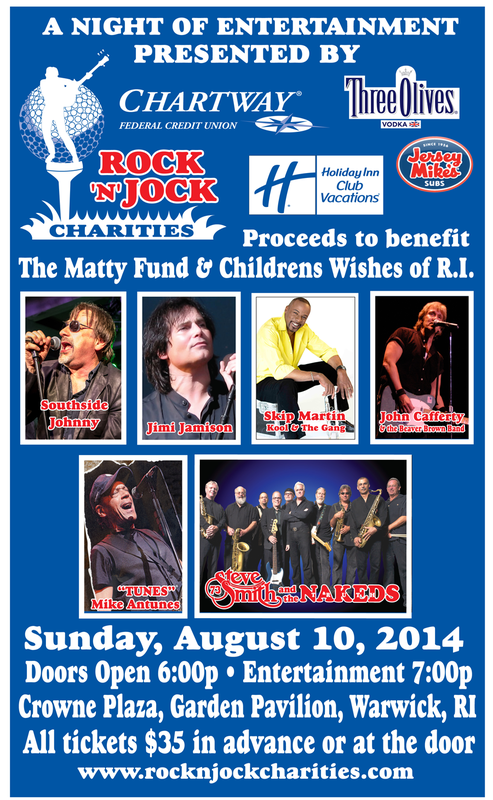 Go to www.rocknjockcharities.com to buy tickets online and to get full details of the event. The all-new John Cafferty and the Beaver Brown Band official web site is now here! The folks at DANIMA Creative Group (www.danima.com) are working closely with John to get all of the content on the site including the forthcoming download and merchandise store, the photo and video galleries and more! So, take a look around and come back soon to see all the great new features at JohnCafferty.com!